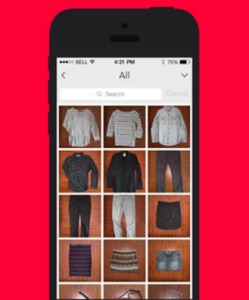 ClosetSpace is a mobile app that enables you to catalog all your clothes to create an electronic wardrobe. How does it work? Simple. You upload images of your clothes using your smartphone camera. You can then group items based on color, garment type, and number of times worn. From that, you can also create lists and outfits, coding outfits according to events, such as dates, work, etc. The cool thing about ClosetSpace is that you can actually view statistics on how often you wear clothing items, so you can decide what to toss and what to keep. 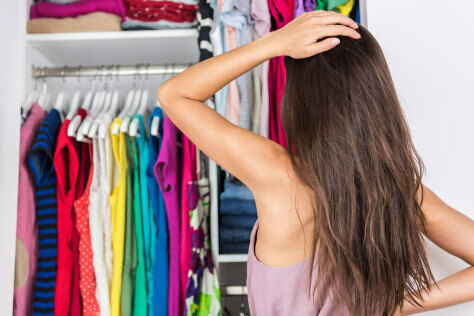 Stylicious is both a mobile and tablet app that allows you to organize your entire wardrobe and sort items by tops, bottoms, shoes, and accessories. You can experiment with different outfit combinations by sliding horizontal strips of items to form outfits. 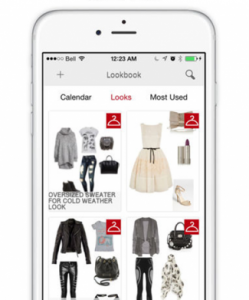 Stylicious also enables you to sync outfits to your LookBook. What's more, you can keep track of the number of times you've worn outfits. 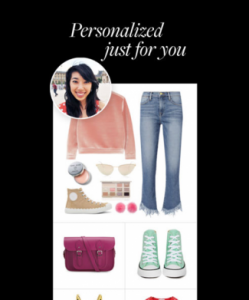 Stylebook is a mobile app where you can create a virtual closet that contains all your real-life clothes. You can upload images of your clothes, separate them into customized categories, and then create outfits for different occasions. You can also save your favorite looks. Stylebook is great for frequent travelers, too. It enables you to create a packing list where you can choose different outfits you want to take on your trip. Stylebook will then generate a list of all those items you need to pack. Polyvore is a mobile app that you can use to give yourself a complete style makeover. While you can't upload items from your own closet, Polyvore does provide customizable outfit suggestions based on your tastes. It has a large database of clothes that you can browse through, and use to create new outfits. Polyvore also lists links for you to purchase items you're interested in. GlamOutfit is a mobile app that helps you organize your closet digitally, find style inspiration from others, and plan what you're going to wear. If you're looking to dress for a specific occasion, you can request help from other users -- they can access your digital wardrobe and create outfit suggestions for you. Think of this mobile app like Tinder but for fashion. 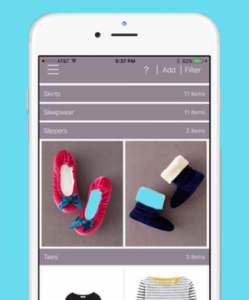 Pureple Outfit Planner allows you to digitally catalog all your clothing items. You can then create your own outfits, or you can ask the app to automatically generate an outfit recommendation for you. If you don't like the outfit recommendation, you swipe left. If you love it, swipe right to save it. 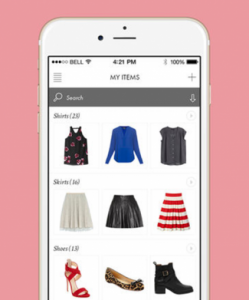 Closet+ is a mobile app that has basic outfit planning features. You can snap pictures of your clothes, upload them onto the app, and then create different outfits. You can also see which clothing items were last worn, how much value you're getting from different items, and how much they cost. 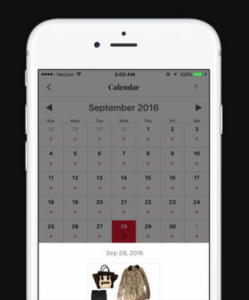 Closet+ allows you to import outfits into a calendar, so you can plan what to wear ahead of time. 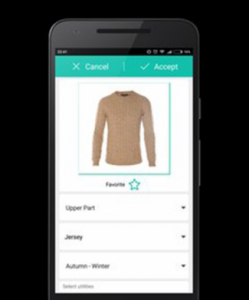 Closfy, a mobile app, enables you to upload your whole wardrobe, and then organize your clothes by garment type, season, or utilities. You can also organize your outfits on the built-in calendar, which allows you to add up to three looks per day. Closfy provides you with tips on how to improve your fashion sense and appearance, too, based on your body type and skin tone. If you're a serious fashionista with a busy schedule, an outfit planning app can seriously save you time. Not only will you look more stylish all the time, you'll also learn how to become more organized. This means you'll never be late again to important events because you're scrounging through your closet trying to decide what to wear. When it comes to fashion, embrace technology. "6 Clueless-Worthy, Outfit-Planning Apps We're Like Totally Buggin' Over," E News, July 19, 2017. 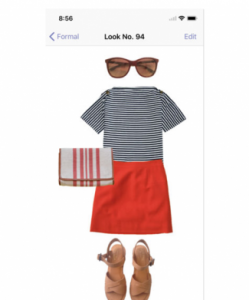 "7 Popular Wardrobe and Outfit Planning Apps Reviewed," Inside Out Style, March 24, 2016.